Clinical activity of the AML/ALL Program focuses on allogeneic stem-cell transplantation and innovative trials (Schaich J Clin Oncol 2011& 2013; Serve J Clin Oncol 2013; Amadori J Clin Oncol 2013). The research program focuses on genomic instability and clonal evolution in AML and leukemia stem-cells (Bochtler J Clin Oncol 2013; Stein Nat Med 2010). The Krämer group develops small molecule inhibitors of IDH and aneuploidy as novel ways of treating IDH-mutant and complex karyotype AMLs, respectively. The Lutz group focuses on understanding the evolution from pre-leukemic hematopoietic stem cells to fully transformed AML. The Müller-Tidow group investigates novel mechanisms of epigenetic dysregulation in the pathogenesis of AML with specific regard to the mechanisms which induce chemoresistance. The Pabst group is interested in the identification of novel regulators of primary healthy and malignant hematopoietic stem cells in humans with special focus on RNA-binding proteins and adhesion G-protein coupled receptors signaling pathways. AML treatment is a cornerstone in the Department of Internal Medicine V in Heidelberg. Beyond standard chemotherapy, we aim to make new targeted therapies accessible to our patients by offering the respective clinical trials to patients who are likely to benefit from these therapies. Our clinic is also specialized in allogeneic transplantation. Patients should benefit from the close cooperation between the Acute Leukemia Taskforce and the Allogeneic Transplantation Taskforce, which ensures continuity in treatment. We also aim to advance both clinical and basic research in AML. We participate in numerous clinical trials. Beyond this, we have taken responsibility for scientific projects within the SAL (Studenallianz Leukämie) study group. 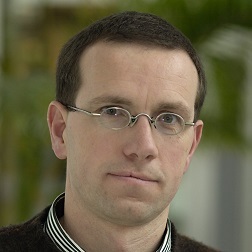 Finally, the clinical cooperation group between DKFZ Heidelberg and Medical Clinic V, which is headed by Professor Krämer, addresses scientific questions regarding chromosomal and centrosomal instability in myeloid malignancies and started recently with whole genome sequencing approaches in order to elucidate mechanisms leading to chromosomal instability in complex karyotype AMLs, an AML subgroup with a still extraordinarily poor prognosis. Cosenza MR, Cazzola A, Rossberg A, Schieber NL, Konotop G, Bausch E, Slynko A, Holland-Letz T, Raab MS, Dubash T, Glimm H, Poppelreuther S, Herold-Mende C, Schwab Y, Krämer A: Asymmetric Centriole Numbers at Spindle Poles Cause Chromosome Instability in Cancer. Cell Rep (in press) 2017. Chaturvedi A, Herbst L, Pusch S, Klett L, Goparaju R, Stichel D, Kaulfuss S, Panknin O, Zimmermann K, Toschi L, Neuhaus R, Haegebarth A, Rehwinkel H, Hess-Stumpp H, Bauser M, Bochtler T, Struys EA, Sharma A, Bakkali A, Geffers R, Araujo-Cruz MM, Thol F, Gabdoulline R, Ganser A, Ho AD, von Deimling A, Rippe K, Heuser M, Krämer A: Pan-mutant-IDH1 inhibitor BAY1436032 is highly effective against human IDH1 mutant acute myeloid leukemia in vivo. Leukemia (Epub ahead of print) 2017. Bochtler T, Granzow M, Stölzel F, Kunz C, Mohr B, Kartal-Kaess M, Hinderhofer K, Heilig CE, Kramer M, Thiede C, Benner A, Bornhäuser M, Ehninger G, Ho AD, Jauch A, Krämer A: Marker chromosomes can arise from chromothripsis and predict adverse prognosis in acute myeloid leukemia. Blood 129: 1333-1342, 2017. Bochtler T, Stölzel F, Heilig CE, Kunz C, Mohr B, Jauch A, Janssen H, Kramer M, Benner A, Bornhäuser M, Ho AD, Ehninger G, Schaich M, Krämer A: Study Alliance Leukemia (SAL): Clonal heterogeneity as detected by metaphase karyotyping is an indicator of poor prognosis in acute myeloid leukemia. J Clin Oncol 31: 3898-3905, 2013. Balss J, Thiede C, Bochtler T, Okun JG, Saadati M, Benner A, Pusch S, Ehninger G, Schaich M, Ho AD, von Deimling A, Krämer A*, Heilig CE: Pretreatment D-2-hydroxyglutarate serum levels negatively impact on outcome in IDH1-mutated acute myeloid leukemia. *Corresponding author. Leukemia 30: 782-788, 2016. Mohr S, Doebele C, Comoglio F, Berg T, Beck J, Bohnenberger H, Alexe G, Corso J, Ströbel P, Wachter A, Beissbarth T, Schnütgen F, Cremer A, Haetscher N, Göllner S, Rouhi A, Palmqvist L, Rieger MA, Schroeder T, Bönig H, Müller-Tidow C, Kuchenbauer F, Schütz E, Green AR, Urlaub H, Stegmaier K, Humphries RK, Serve H, Oellerich T. Hoxa9 and Meis1 Cooperatively Induce Addiction to Syk Signaling by Suppressing miR-146a in Acute Myeloid Leukemia. Cancer Cell. 2017 Apr 10;31(4):549-562.e11. Göllner S, Oellerich T, Agrawal-Singh S, Schenk T, Klein H U, Rohde R, Pabst C, Sauer T, Lerdrup T, Tavor S, Stölzel F, Herold S, Ehninger G, Köhler G, Pan K-T, Urlaub H, Serve H, Dugas M, Spiekermann K, Vick B, Jeremias I, Berdel W E, Hansen K, Zelent A, Wickenhauser C, Müller L P, Thiede C and Müller-Tidow C. Loss of the Histone Methyltransferase EZH2 induces Resistance to Multiple Drugs in Acute Myeloid Leukemia (AML). Nature Medicine 2017 Jan;23(1):69-78. Muller-Tidow C, Tschanter P, Rollig C, Thiede C, Koschmieder A, Stelljes M, Koschmieder S, Dugas M, Gerss J, Butterfass-Bahloul T, Wagner R, Eveslage M, Thiem U, Krause SW, Kaiser U, Kunzmann V, Steffen B, Noppeney R, Herr W, Baldus CD, Schmitz N, Gotze K, Reichle A, Kaufmann M, Neubauer A, Schafer-Eckart K, Hanel M, Peceny R, Frickhofen N, Kiehl M, Giagounidis A, Gorner M, Repp R, Link H, Kiani A, Naumann R, Brummendorf TH, Serve H, Ehninger G, Berdel WE, Krug U, Study Alliance Leukemia G. Azacitidine in combination with intensive induction chemotherapy in older patients with acute myeloid leukemia: The AML-AZA trial of the Study Alliance Leukemia. Leukemia 2016;30:555-561. Pabst C, Krosl J, Fares I, Boucher G, Ruel R, Marinier A, et al. : Identification of small molecules that support human leukemia stem cell activity ex vivo. Nat Meth 2014 Apr;11:436–442. State of the art treatment including first in man trials and allogeneic stem cell transplantation. By participating as one of the largest centers in clinical trials of the SAL (Study Alliance Leukemia) we were able to define the significance of FLT3 kinase inhibitors in the treatment of AML. Although the addition of sorafenib to standard chemotherapy seems not to be beneficial for elderly (>60) AML patients, our most recent data demonstrate that younger (<60) patients with newly diagnosted AML might benefit from such a treatment strategy. Serve et al. : Sorafenib in combination with intensive chemotherapy in elderly patients with acute myeloid leukemia: results from a randomized, placebo-controlled trial. Journal of Clinical Oncology 2012. Röllig et al. : Sorafenib versus placebo in addition to standard therapy in adult patients ≤60 years with newly diagnosed acute myeloid leukemia: results from the randomized-controlled SORAML trial. ASH 2012. 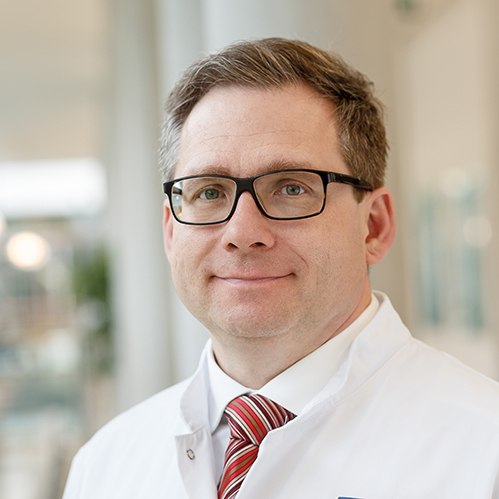 A significant recent scientific highlight in the field of AML research made by the group of Prof. Alwin Krämer deals with the development of a small molecule mIDH1 inhibitor that specifically targets AML cells which carry an isocitrate dehydrogenase (IDH1) mutation. (Leukemia 2017). A phase I clinical trial with this compound in IDH1-mutated AML will start soon. Another recent accomplishment of the Krämer group is the identification of the prognostic impact of chromothripsis (Blood 2017) and clonal heterogeneity (J Clin Oncol 2013, Cell Rep 2017) as mechanisms leading to karyotype complexity in acute myeloid leukemia. Currently, we are performing small molecule screens to identify aneuploidy-selective compounds to specifically treat poor prognosis complex karyotype AML. One significant scientific highlight in AML research made by the group of Prof. Müller-Tidow deals with the involvement of the histone modifier EZH2 in chemoresistance. Here we could show that loss of EZH2, mediated by proteasomal degradation induces drug resistance to multiple drugs in AML in vitro and in vivo (Nature Medicine, 2017). The results from this study will be translated into a randomized, multi-centre phase II trial entitled TEAM‐Trial (Targeting Epigenetic therapy resistance in AML), starting in 2017. Recently, Prof. Müller-Tidows group described for the first time that the induction of the C/D box snoRNA/RNP function constitutes an important pathway in leukemogenesis. The expression of C/D box snoRNAs in AML patients correlated closely with in vivo frequency of leukemic stem cells (Nature Cell Biology, accepted for publication, April 2017). Future work in the lab will be conducted to analyze if this pathway may constitute a suitable therapeutic target. During her postdoctoral studies Dr. Pabst found that activation of the aryl-hydrocarbon receptor (AhR) pathway is a key determinant that needs to be suppressed to maintain LSC self-renewal ex vivo. She found that a class of pyrimidoindoles further prevents the ex vivo differentiation of AML cells when used in combination with AhR-antagonists. These compounds can be used as a tool to better characterize and manipulate primary human AML and hematopoietic stem cells in vitro (Nature Methods, 2014).